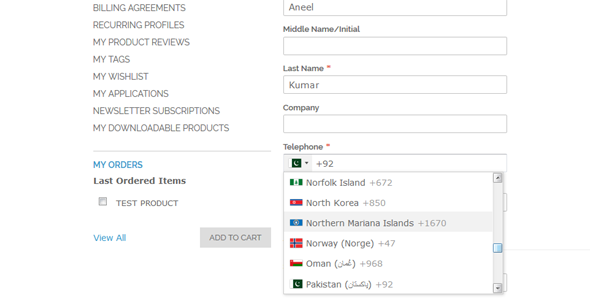 Magento 1x International Phone Flags Extension is an extension that allows your customers to add phone number using international flags with dial codes of countries. It adds a flag dropdown on telephone field on checkout billing/shipping steps, user can select the desired country flags with relevant placeholder from dropdown. 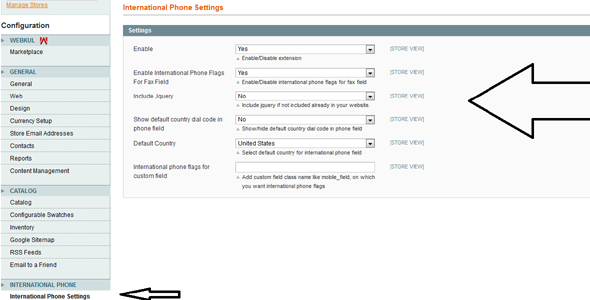 You can enable international phone flags dropdown for fax field and for any custom field in your website. 1 . Upload file manually – Extract it and then extract “Custom_Phone-1.0.0.tgz” and then copy all files app folder and then paste into your magento root directory. 2. Second way is from admin panel – Go to admin panel – System -> Configuration -> Magento Connect -> Magento Connect Manager and unchecked ” Put store on the maintenance mode while installing/upgrading/backup creation” option and browse file and upload it. 4. Now follow provide documentation or goto admin panel and you will see International Phone Flags Extension configuration from “System -> Configuration -> International Phone” . 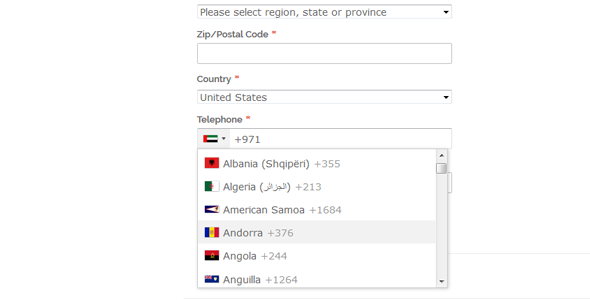 Automatically set the input dropdown with country flags on telephone field for the selected country on checkout billing and shipping form. 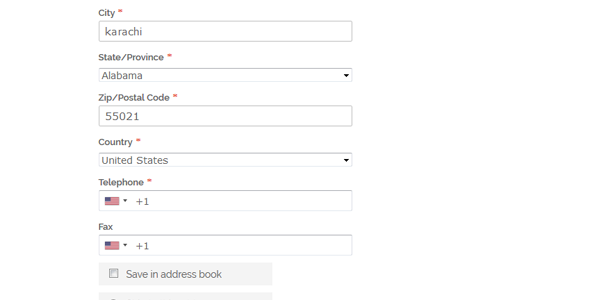 Automatically set the input dropdown with country flags on fax field for the selected country on checkout billing and shipping form if enable from configuration. You can add international phone flags dropdown on custom field on your website by just adding field’s class name in extension’s configuration. Automatically set the country dial code on telephone field by enable “Show default country dial code in phone field” from extension’s configuration. Automatically set the default country flag on phone field by selecting “Default Country” from extension’s configuration. 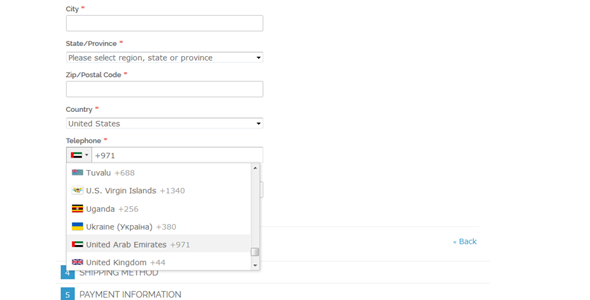 The user types their national number and the plugin gives you the full standardized international number.